Sunday was one of those days I warned about last week, when the pain and medications combined to knock me out for most of the day. I’ll try to be back tomorrow to catch up on what we missed. After struggling to write something, anything, over the past few days, it’s become clear that the idea I could return to work this week was overly optimistic. So let’s just throw in the towel on our daily Morning Links updates for now, and try again next week. We will have a guest post from my former Iditarod sled-dog racing brother tomorrow, as he recounts the tale of his snowy, 1000+ mile late fall bike tour from the Pacific Northwest to his home in Western California. No dogs involved. Even if the weather was more appropriate for it at times. And I’ll be available for any breaking news, which hopefully won’t. With a little luck, the pain will finally let up and my head will clear, and I’ll see you back here next week. After writing about yesterday’s fatal bike crash in Koreatown, and spending far too much time making preparations for my upcoming knee surgery, there’s just no time left to write today’s Morning Links and get it online. As usual, we’ll be back tomorrow to catch up on anything we missed. And if anyone knows a good, reliable, corgi-friendly dog walker, let me know. A new bill in the state legislature would require Caltrans to make changes to improve safety for bicyclists and pedestrians whenever they maintain or improve any state highways. And that includes requiring Complete Streets on state-owned surface streets such as LA’s Sepulveda and Santa Monica Blvd, and Pacific Coast Highway in the ‘Bu. SB 127, sponsored by San Francisco State Senator Scott Weiner, would shift the focus of California’s transportation department to serving all road users, not just the ones in the big, dangerous machines. Unlike what it has done throughout its existence. It would also require state transportation funding programs to prioritize pedestrian and bicyclist safety. Senator Wiener said his goals with S.B.127 are threefold: to increase safety, to help people live healthier lives by encouraging more use of active transportation modes, and to create better climate outcomes by giving people the option to use environmentally friendly travel modes. “That can only happen if it’s safe to do so,” he said. The bill will undoubtedly meet opposition from entrenched motorist interests, just like any other recent Complete Streets bill that seems to threaten the automotive hegemony on our streets. But it could make a real, and lasting, difference in the way Californians get around. Sad news from San Diego, where a man suffered life-threatening injuries in a collision while riding his bike in the Linda Vista neighborhood. Unfortunately, a message from a police watch commander makes it clear he’s not expected to survive. Thanks to Phillip Young for the heads-up. That hardly ever happens in real life. After a very close call, a truck driver pulled over to apologize to the bike rider he nearly ran down. There’s a reason why bike racers ride instead of rapping. Santa Monica provides a three-month update on the city’s Shared Mobility Pilot Program, including 52 bike and scooter parking zones throughout the city, with plans for up to 50 more. That compares favorably with LA’s zero. A Dallas magazine says Santa Monica-based Bird has quietly backed off plans to give cities money to build more bike lanes, after apparently running out of venture capital cash. San Jose’s mayor is back at work following his New Year’s Day bike crash. A San Francisco-based company is using cellphone data to measure bicycle and pedestrian traffic to improve traffic planning. San Francisco Streetsblog’s Roger Rudick takes local officials to task, correctly noting that Vision Zero requires a total commitment to safety and responsibility. Someone please tell our mayor and city council that. And LADOT. And the LAPD. And LA Vision Zero. If you own a 2017 or later Specialized with Specialized’s Future Shock front road suspension feature, you should stop riding it immediately and take it back to a dealer for repairs under a recall. Business Insider lists their picks for the best bike helmets in five different categories. Bicycling says doing any kind of physical activity for just 30 minutes a day will help you live longer. Like bicycling, for instance. Police in Everett WA are trying to identify a man seen riding a bicycle in the area, after he was found dead in a local park. A Washington man says if a BMX rider is wearing a mask or a bandana, police should assume they’re criminals and violate their constitutional rights. And let ’em sue if they don’t like it. Writing in Bicycle Retailer, a staff member from Bike Utah says better infrastructure in the answer to growth in ridership and the bike industry. Unbelievable. A road raging Illinois driver repeatedly slammed into a bike rider, then ran over him, breaking his arm, leg and pelvis, before she was arrested driving away with his bike still stuck under her SUV. Then was acquitted of attempted murder and six other felony counts a year later by reason of insanity. By that standard, there are a lot of crazy people behind the wheel. Thanks again to Phillip Young. Chicago and New York both held extensive public meetings on how and where to expand their public bikeshare systems — and promptly ignored the results. Apparently having missed the memo that bikes are good for business, New York business owners are demanding that the city rip out new bike lanes that were installed as part of a now-cancelled plan to shut down a subway for maintenance. Because parking. A Philly bike cop sues the department, alleging bias against Italian-Americans. A Virginia newspaper remembers a local icon known for decades as Bicycle Charlie due to his ever-present bicycle. Except his name was Floyd. The European Union is considering a plan that would require ebike riders to carry liability insurance — which is not required for any other type of bicycles — in an apparent attempt to kill the market for them. A 12-year old London boy was lucky to escape with minor injuries after riding into the path of a bus as he tried to escape from older boys who were chasing him. Irish police bust a suspect bike thief, and recover five hot bikes and a stash of coke and weed. An Aussie rider’s high-end Pinarello road bike is now a melted carbon mess after his add-on ebike hub caught fire — and couldn’t be approached to put it out because the CO2 canisters in his seat bag started exploding. Three Australian bicyclists suffered minor injuries in a rare bike on bike on bike crash. No bias here. An Aussie motorcycling group has called for bicyclists to be forced to wear unique numbers somewhere on their body, so they can be charged for violating traffic laws. 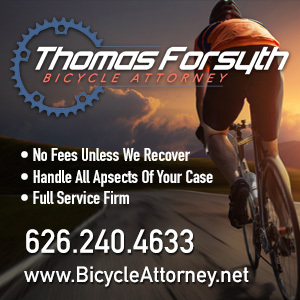 Never mind that unlike motorcyclists and drivers, bicyclists pose minimal risk to others. Slovenian cyclist Jani Brajkovic got off with just a ten-month ban for failing a doping test, after he convinced officials he ingested it accidentally as part of a supplement. The former team physician for Team Sky and British Cycling faces doping related criminal charges. Great story about a Cat 2 bike racer from Arkansas, who lost his leg as a result of a crash while playing bike polo — then won a national championship in individual pursuit, along with another silver and a bronze, at the recent Paralympic National Championships. A 15-year old British boy is the first champion of the five-day E-Bike Desert Challenge through the sands of the Moroccan desert. If you want to lose weight, get a job as a bicycle courier. More proof bike shorts look ridiculous in the absence of a bicycle, no matter what decade you’re in. And if you’re riding your bike while drunk as a skunk and tossing the empties, half empties and full cans into your bike trailer, put a damn light on it already. And don’t threaten the cops that pull you over. Okay, I’m throwing in the towel. Between last night’s bad news, and a bout of high sugar caused by a minor medical procedure, I haven’t been able write a word of today’s Morning Links. And at 1:30 in the morning, it’s a little late to start. Especially on something that usually takes me four to five hours to finish. As much as I hate to do it — especially this early in the year and just one day removed from taking the holidays off — I’m going to have to give up on getting anything done tonight. We’ll be back as usual tomorrow, and catch up on anything you might have missed today. So get out and ride your bike. And take a few minutes to read yesterday’s epic post-holiday post if you haven’t already. I’ll see you back here bright and early on Friday. You’re more than welcome to make a donation to this site anytime. But it’s the final weekend of the 4th Annual BikinginLA Holiday Fund Drive! The last two days to support SoCal’s best source for bike news and advocacy during our one and only fundraising campaign of the year. And the only time we’ll come right out and ask for your support. It’s easy to donate via PayPal, or through Zelle with the banking app that’s already on your phone using the email address you’ll find on this link. Any amount is truly and deeply appreciated, no matter how large or small, to help keep this site coming your way every day. And ensure the Corgi has a little kibble under her tree Christmas morning. So what are you waiting for, already? 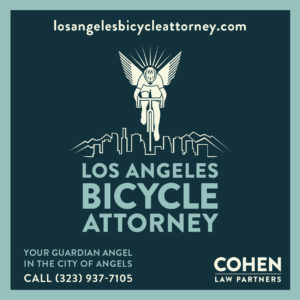 Thanks to Evan B, Robert H and Karen K for their generous donations to the BikinginLA Holiday Fund Drive! Apparently, the new WordPress 5.0 has broken my site. After installing the upgrade Thursday night, I’m no longer able to access any of the internal pages — including the ones I’d need to fix this train wreck. Hopefully we can get this fixed, and be back on Monday. 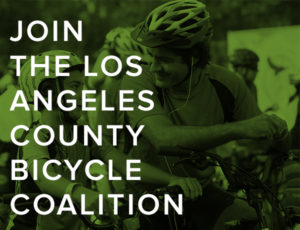 It’s the 4th Annual BikinginLA Holiday Fund Drive! 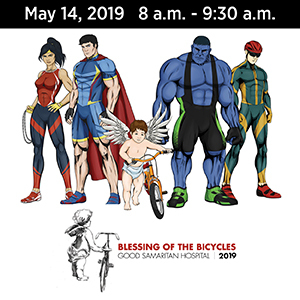 November 22, 2018 / bikinginla / Comments Off on It’s the 4th Annual BikinginLA Holiday Fund Drive! No, not the season of incessant holiday music, ugly sweaters or bizarre Christmas flavors leaping out of your coffee cup. Or even palm trees swaddled in red and green lights lining the sidewalk. It’s time for the 4th Annual BikinginLA Holiday Fund Drive. The one time of year when, like your favorite public radio station, I ask you to open your wallets and dig deep to help keep Southern California’s leading source for bike news and advocacy coming your way every day. Except unlike your favorite public radio station, we don’t block most of this site to make you pay up. It started as a joke four years ago — hence that whole 4th Annual thing. But the funny thing was people actually took it seriously, and wanted to give their hard-earned money to support this site. Which surprised the hell out of me. Thanks to donations from people like you — along with the generosity of our sponsors, and a very understanding wife — I’ve been able to turn BikinginLA into a more than full-time job. And devote whatever time I have left in this world to doing whatever I can to make the streets safer for people on bicycles. Which takes us back to that whole dig deep thing. You can contribute with just a few clicks by using PayPal. Or by using the Zelle app that came with the banking app that’s probably already on your smartphone; just send your contribution to ted @ bikinginla dot com (remove the spaces and format as a standard email address). Any donation, in any amount, is truly and deeply appreciated. And will help keep the Corgi in kibble while keeping this site up and running. If you can’t afford to give anything, or just prefer not to, that’s cool too. You’re more than welcome to keep coming back, and contributing to our online community. Either way, thanks for taking a moment to consider it. And thanks for visiting this site. Because it doesn’t matter what I write if you’re not here to read it. Thank you to Nina M, Betsy G, John L, View-Speed Inc. and an anonymous donor for their generous contributions to this fund drive even before it officially began. And let me offer a special thanks to Todd Rowell, who came up with the idea for a holiday fund drive in the first place. Especially for riding a bicycle. And for readers like you, who allow me to do what I do. Because without someone to read it, this site is nothing more than letters on a screen. So please accept my best wishes for a warm and happy Thanksgiving for you and all your loved ones. Now get out and ride your bike.